In this article, I refer to a sample application (Figure 1) to describe how developers can program apps in Angular 2 with TypeScript. The app is simple: Clicking on Add transfers the two measured values for temperature and pressure from the fields in the form to the table at the bottom of the output window. At the same time, the app calculates the average of the measured values in the line below the Weather Station label. Figure 1: Users can access the weather station in a browser using the URL http://localhost:3000 or a local IP address. The first command expands the collection of repositories for Debian's package manager, adding a repository for the current version 6 of Node. Then Apt with root privileges installs Node.js and Git, which you need to install Angular 2. The first line uses Git to copy the popular quickstart module into the station project directory, before changing to that directory and installing quickstart using the npm  node package manager. The quickstart module provides a working, but quite rudimentary, Angular 2 application out of the box. The listings in this article extend this module to include a small sample app. Listing 1 is an initial overview of what it looks like in the project directory of the completed sample application. The corresponding files are in the v2 folder; you need to copy them to the station folder and overwrite the existing files. For example, the package.json file stores the names and version numbers of the Node.js packages, which the npm install command has already installed. The compiler converts any file with the extension .ts to .js. In some cases, the typings.json  file in the directory of the same name contains information on library-specific extensions that the TypeScript compiler cannot find in the same directory. After the development environment has converted the files, it starts an HTTP server and displays the corresponding URLs at the command line. 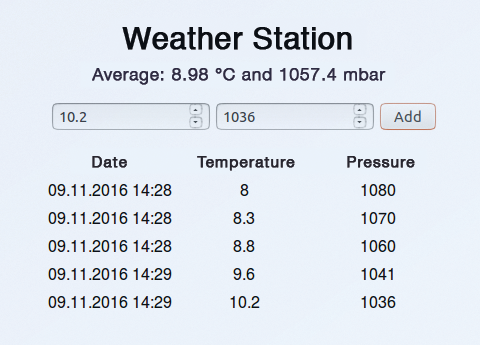 You can access the weather station by typing the URL localhost:3000 in the browser bar on the development machine (Figure 1). If Angular is running in a virtual machine (VM) or a container, it uses the VM's or container's IP address. The Browsersync test tool is running parallel to this on port 3001 (Figure 2); you can use this to test the web application if needed. 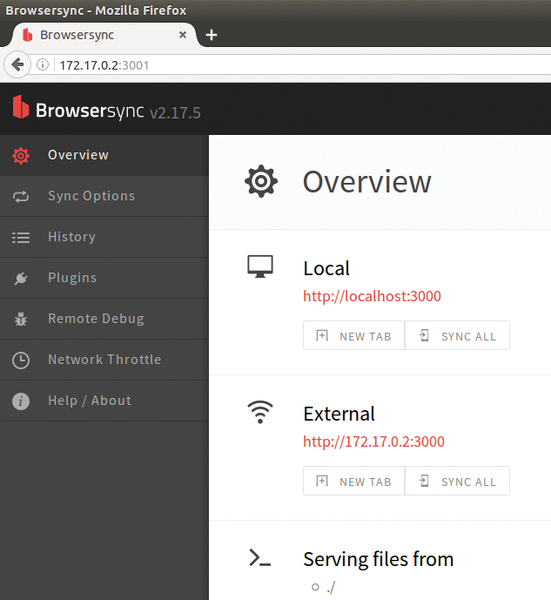 Figure 2: Use Browsersync to test your Angular 2 app in the browser. The web browser first uses index.html (Listing 2) to access the application. The systemjs.config.js file (line 8) defines additional packages for the application. Internally, Angular uses a compiler that converts the application code into an interactive DOM tree. It generates a so-called view source just in time (JiT) in the browser (Figure 3), although in principle, you can use its ahead of time (AoT) compiler  to create the view source on the web server. The use of AoT is not recommended for production environments. Figure 3: The AoT compiler (bottom) generates the view source on the server and the JiT compiler (top) only in the browser. The arrows describe the conversion steps. This method saves computing time in production operations in which users can retrieve the application from the web server multiple times. If you believe the creators of Angular 2, an application with the JiT compiler initializes almost four times faster than when using Angular 1 . The embedded CSS file styles.css stores formatting information in CSS3. A watch process keeps an eye on the project directory, and – for every change – automatically compiles the .ts files and reloads the app in the browser. Gathering data on various aspects of your HPC system is a key step toward developing information about the system and one of the first steps toward tuning your system for performance and reporting on system use. It can tell how users are using the system and, at a high level, what they are doing. In this article, I present a method for gathering data on how users are using Environment Modules, such as which modules are being used, how often, and so on.